This first page is just a little love note to Ryan. 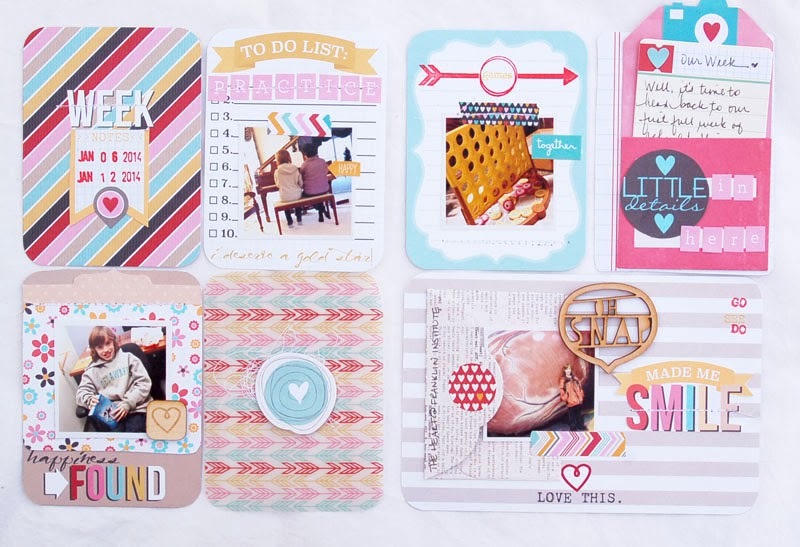 I used lots of Elle's Studio and Freckled Fawn goodies on here. I created a little collage using the library pockets, some tags, stickers and a clip. I cut the hearts from the paper and topped it with a button from my Oh Deer Me kit. The heart transparency, arrow and little stars are also from the kit. And this resin shape is one of my favorites! LOVE them. I had a lot of fun just adding lots of goodies to this page. 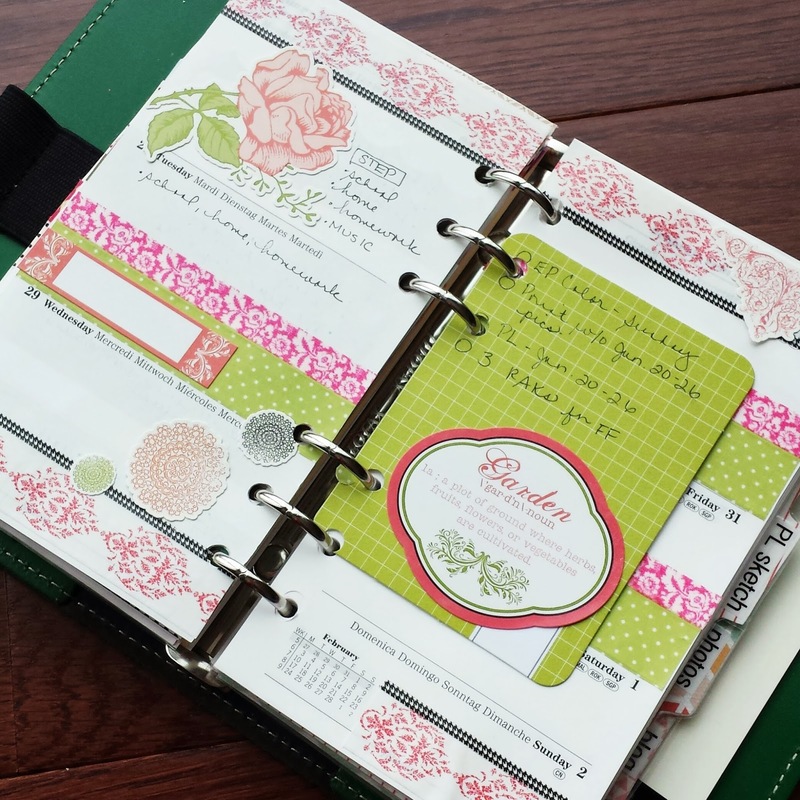 This next layout is about the roses that my hubby brings me every year. Our anniversary is Feb. 12, so they cover two occasions. :) I just love them. They are over a week old now and STILL look beautiful. I love how they brighten up my dining room table. 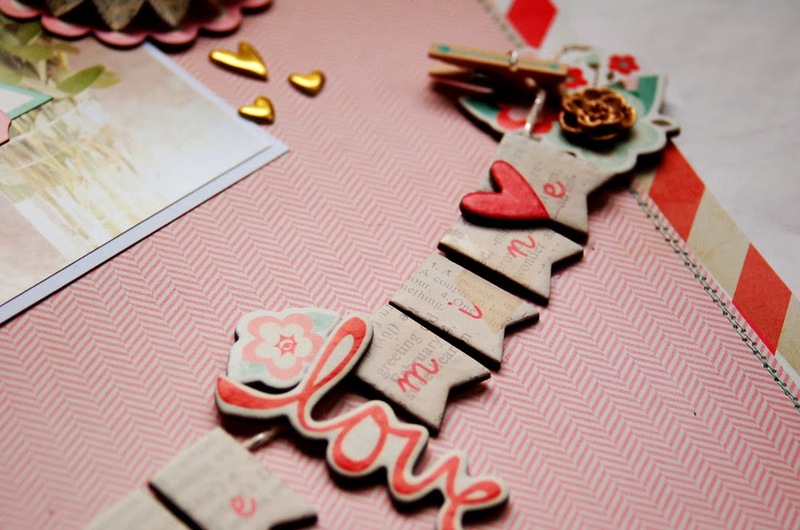 Chipboard and Standouts from Crate's Love Notes collection were the perfect elements to add to the banner. I used several clothespins from the collections. 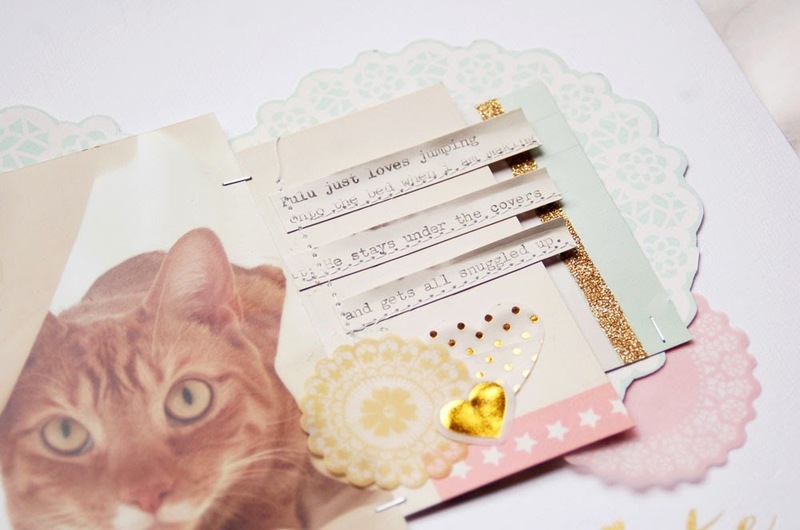 The cute gold hearts are from Studio Calico. I love how they finished things over. Well, that's about it for today. Thanks so much for stopping by and have a great day! Happy Thursday! It's only one day away from the weekend. How excited am I? (I shouldn't complain, I love my job, but still...) We are still surrounded by snow, but the temps are going up to the 50s today. I can already feel my mood lifting. I heard birds chirping the other morning and my heart just sang! 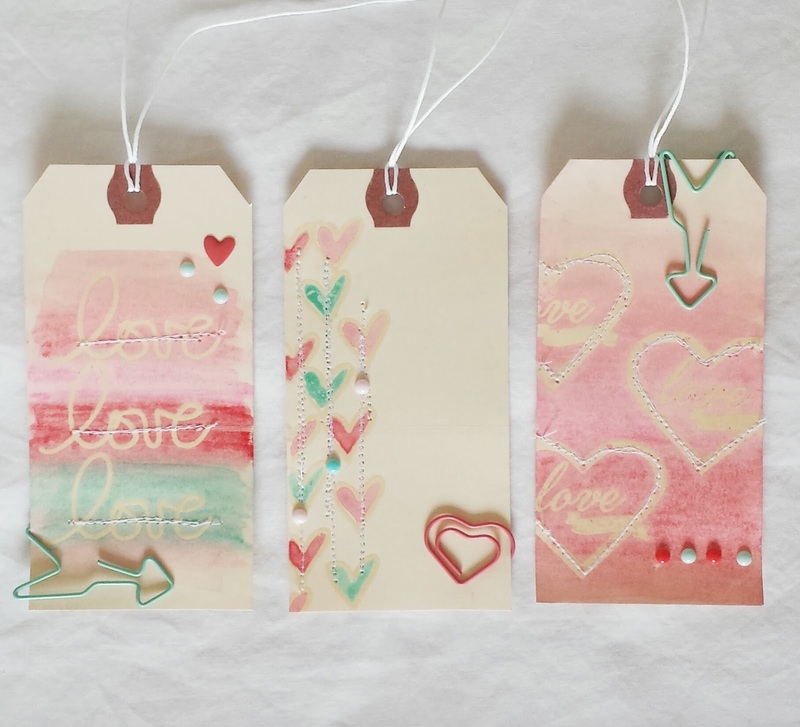 So, today, I have a little set of tags that I made using some stamps, clear embossing powder and Gelatos. I love those little sticks of color. In case you don't know what they are you can see them here at Emma's Paperie. I began by using regular shipping tags from Staples. 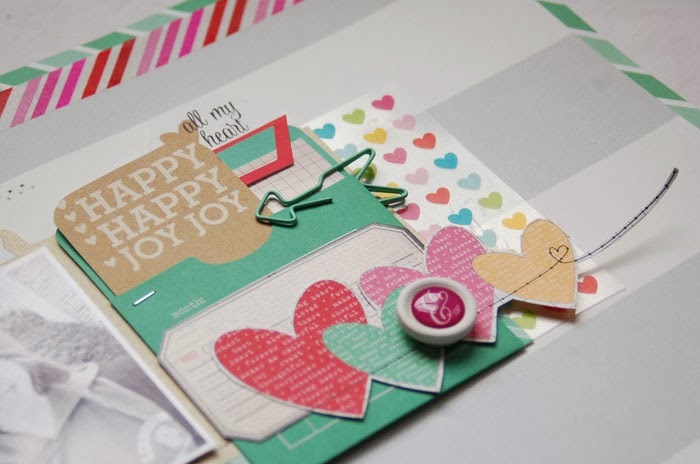 I pulled out my stamps, some clear embossing powder, the Gelatos, and some enamel dots and shaped paper clips. Fort this tag, I stamped my stamp repeatedly onto the card and embossed it with the clear embossing powder. Then, I took my gelatos, and lightly colored over the stamps. Finally, I took my waterbrush (but you can use a regular paint brush and water) and washed over the gelato color, blending it together. I added the stitching when it dried. This next tag was super easy. 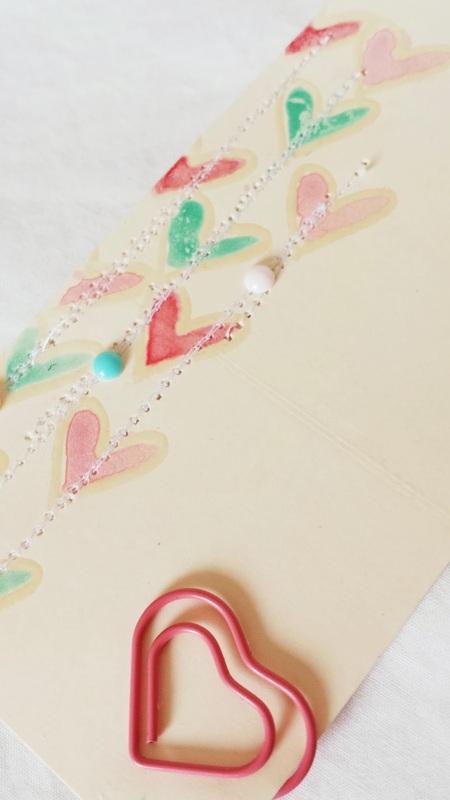 I took a small heart stamp and repeatedly stamped it as a border. Then, I took my wet brush and rubbed it onto the Gelato stick to get the color and simply painted it right onto the heart. Again, I stitched and embellished when it was dry. 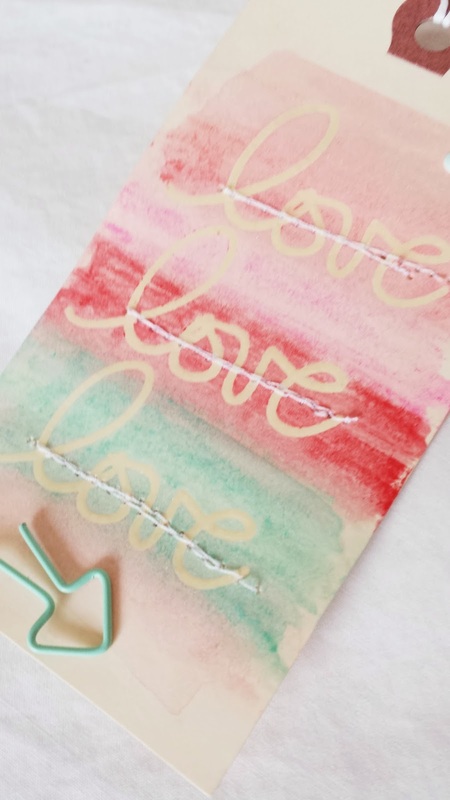 On this tag, I wanted to create an ombre effect. 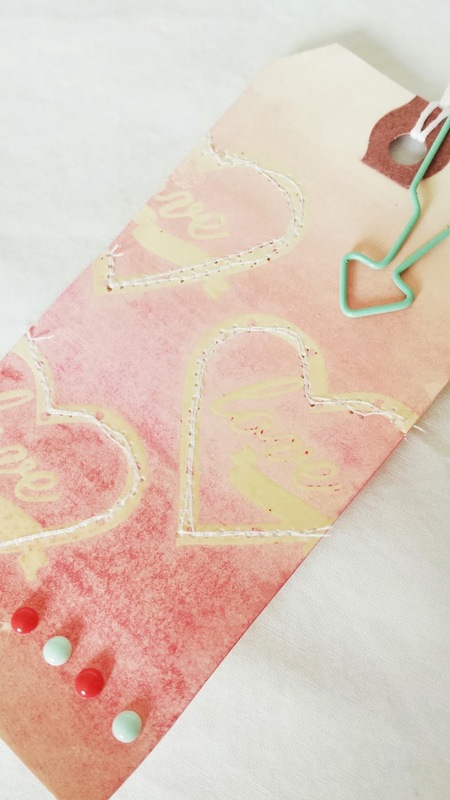 So I stamped, embossed and added color using several shades of pink, as I had on the first tag. As I painted with my water brush, I blended the colors together. There are lots of tutorials using Gelatos on the Faber Castell Blog. I plan on visiting it often! Happy Day After Valentine's Day. This week has been a nice one! The downside was that we had over 14 feet of snow dumped on us. But, that did give me two days off from school. It was awesome. I got lots of scrapping done, my laundry is caught up and the house is relatively clean. I thought I'd share this Valentine's Day card that I made for Emma's Paperie. 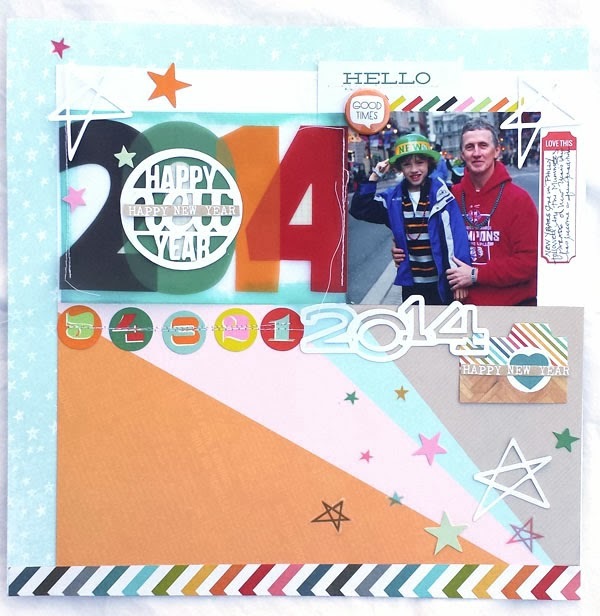 I used lots of Graphic 45 goodies on it. 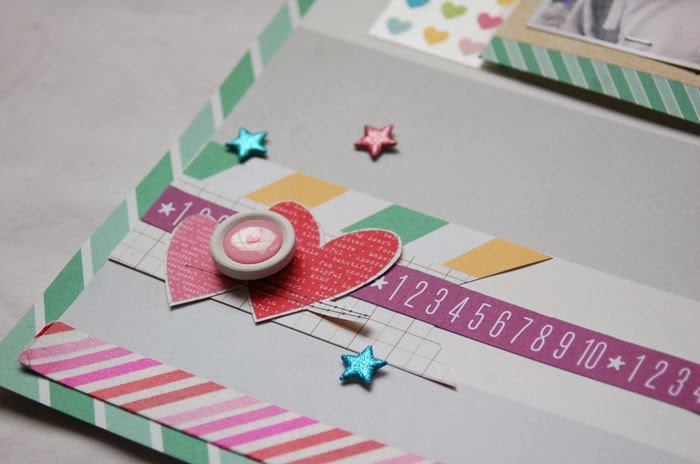 The supply list and directions for making the card can be found on the Emma's blog. 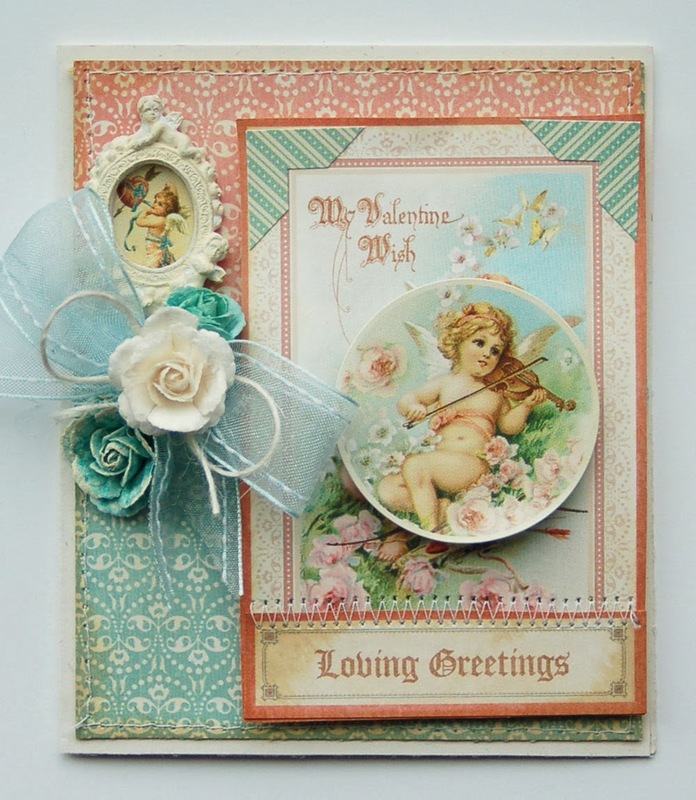 It's over the top shabby and vintage, but I think that's perfect for Valentine's Day! My next project features my mischievous kitty, Pulu. Whenever I make the bed, he jumps up and lays there while I add the sheets, blankets and comforter. Then, he lays underneath all of it, looking like a big lump in the bed. I caught this shot of him under the sheets and had to scrap it. I decided to go with Crate's new Storyboard line. The mint and gold colors in the collection were calling my name, so I went with that, adding in a bit of pink. I decided to keep it simple, focusing on the photo and the pretty colors. I do love how it turned out. :) I think I'll be using this color combo again, for sure. Well, that's about all. Thanks for stopping by today. Anyway, here is my first spread. 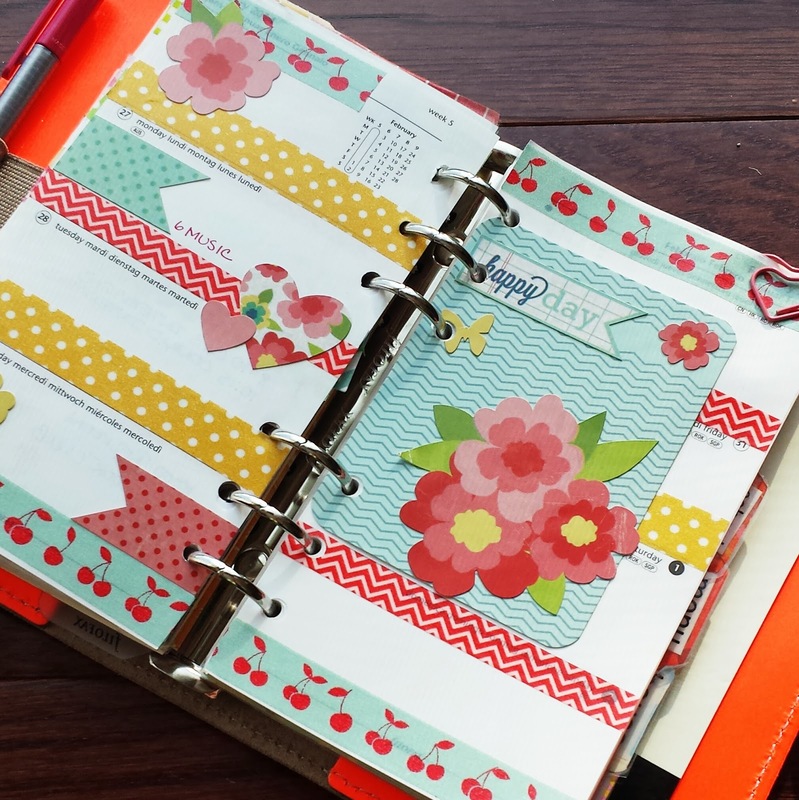 I used lots of Doodlebug goodies on here. 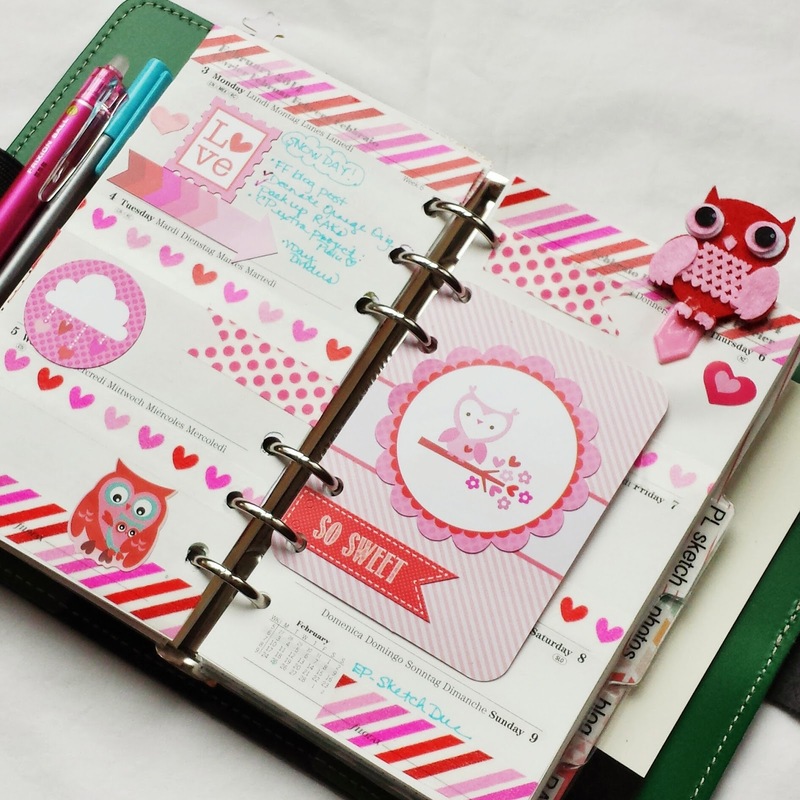 I just love them for my Filofax! 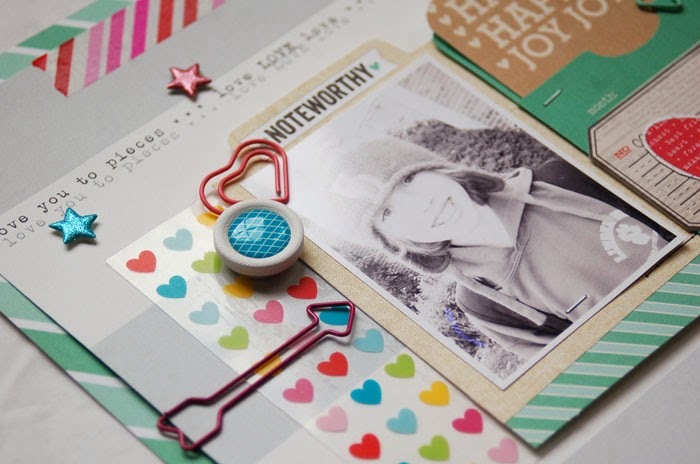 This next spread uses lots of goodies that I received in my February Gossamer Blue kits. I think part of the reason I'm loving this month's decorating so much is because Pink, Aqua and red is my favorite color combo. 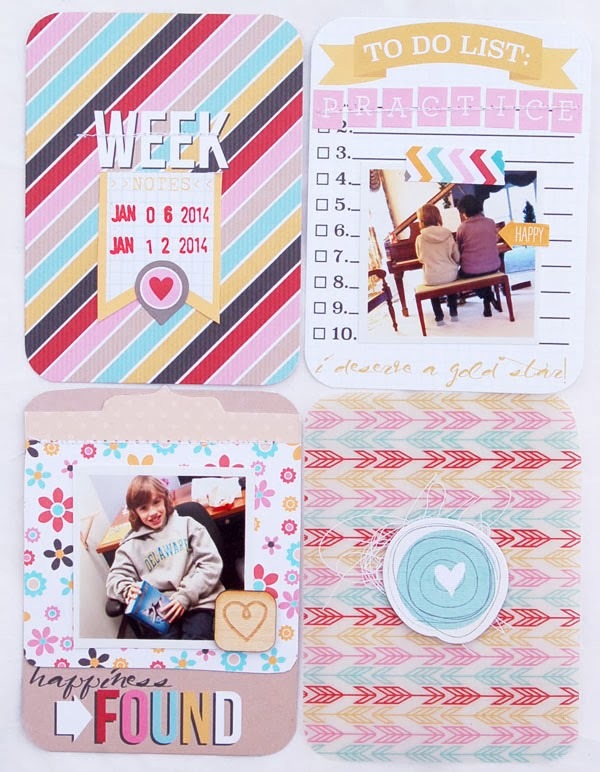 Gossamer Blue's February kits are filled with hearts and flowers and lots of pink, aqua and red. I loved playing around with them. 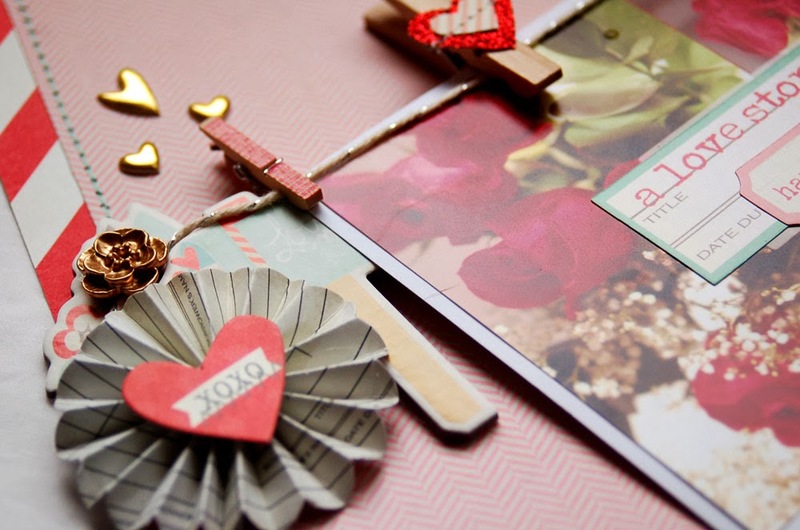 If you scroll down a couple of posts, you'll see the spread I made for the Elle's Studio blog hop. 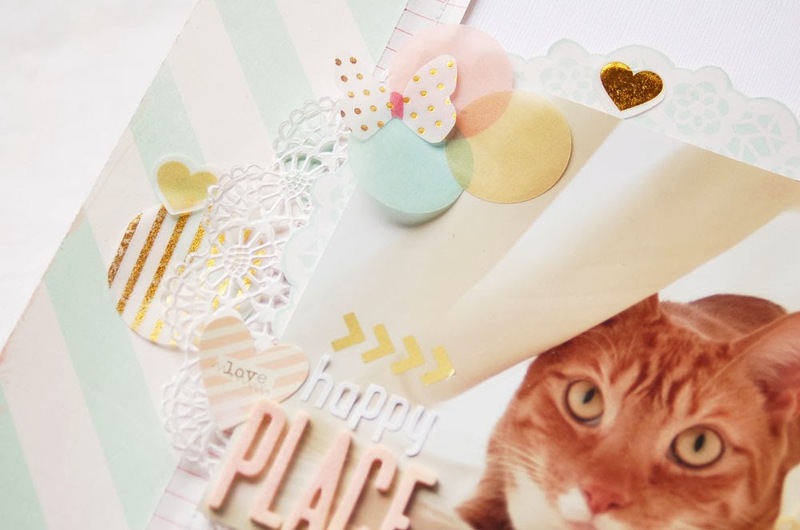 There is tons of Elle's goodies in the kits along with Crate Paper, Pebbles and Fancy Pants. 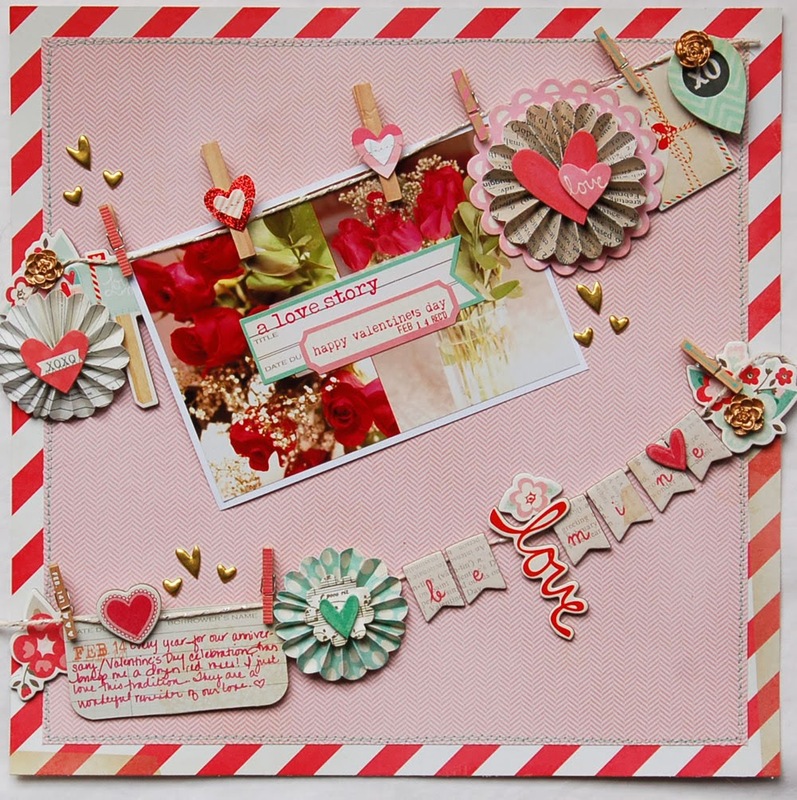 As you can see, I used a lot of the Valentine goodies on a January spread. They are really versatile. I love all of the wood veneers that are coming with the kits. 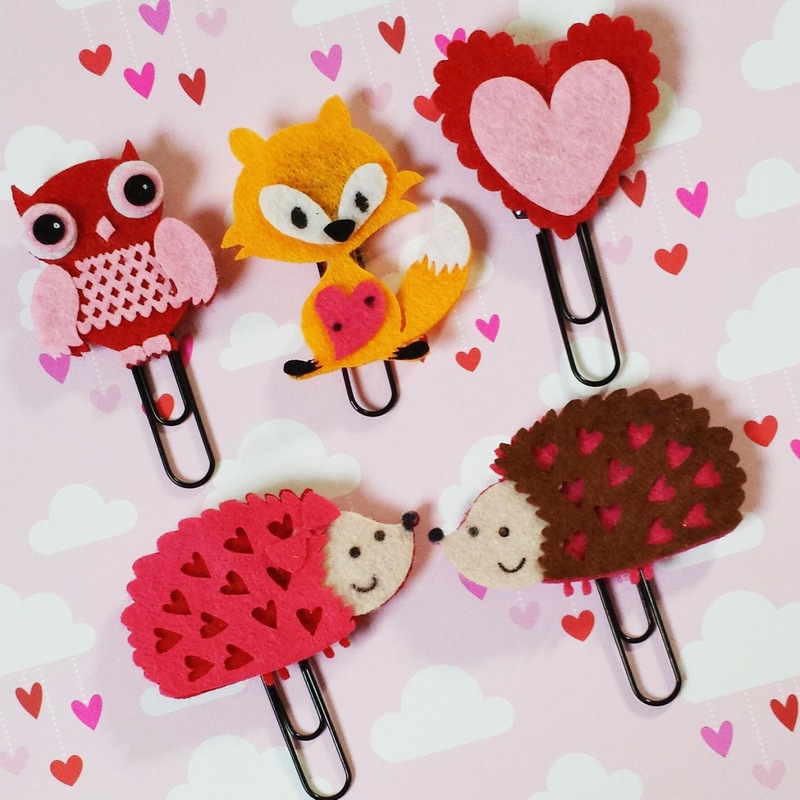 And, as always, the cards are super cute! Here, I used the cute arrow stamp. t comes with a lot of different words that can be placed in the center. I also added a pocket to include my journaling. 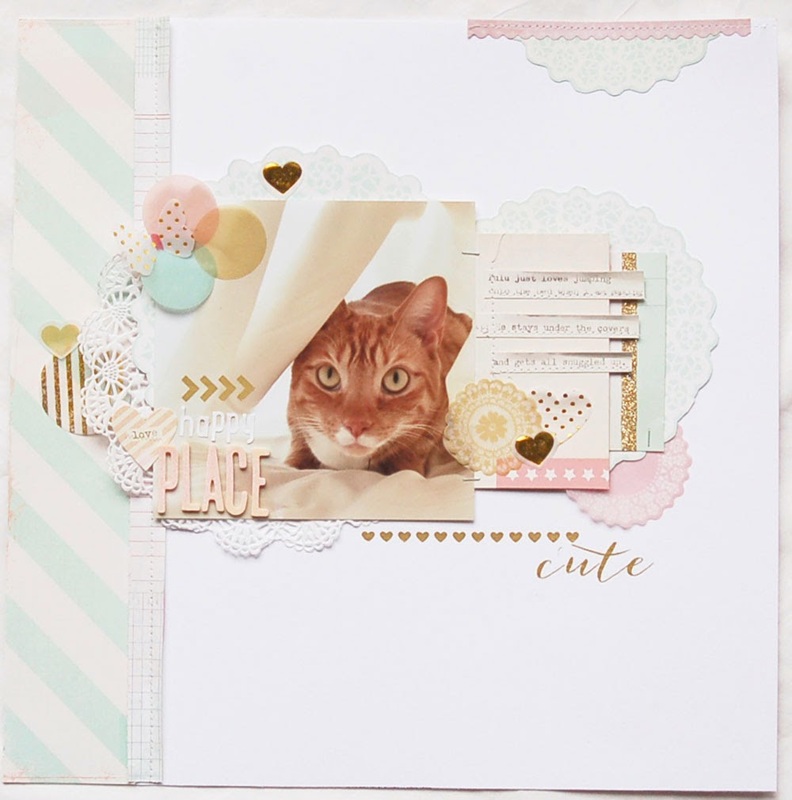 And here is a layout that I made using the January kits. It was on the GB blog last week. I used the vellum 2014 card and cut it up, added some stitching, and adhered it to white cardstock to create the title on the page. 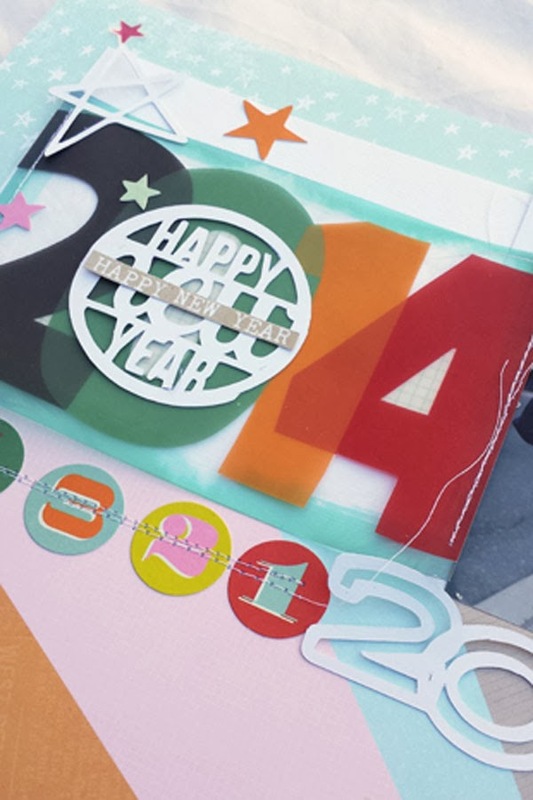 I used several of January's die cuts on here, too. Well, that's it for today. Thanks for stopping by and have a wonderful weekend! Are you sick and tired of this crazy cold weather? I definitely am! So, I decided to pretty up my Filofaxes, last week, with flowers and gardens. I have to say it made me smile every time I opened them up. Now, if I don't have to look out the window (we are currently in the midst of a crazy ice storm...) I could keep my warm spring feeling. Here is my spread in my personal Orange Original. 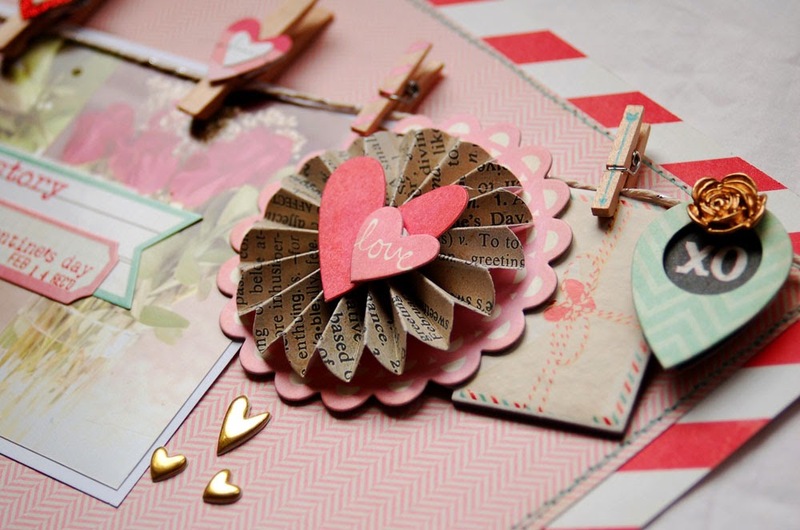 I organized my scrapbook supplies last week and came across some goodies that I knew would be great for my pages. I find that I am drawn to the Echo Park stickers because of their size and how colorful they are. I just put in an order for some more at Emma's Paperie. So, there you have last week. 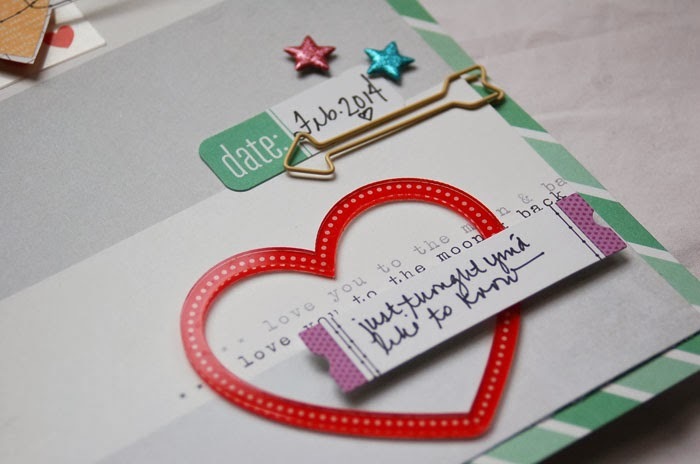 I'll be back later on this week to share my Valentine's themed pages that I did for this week. So fun!! 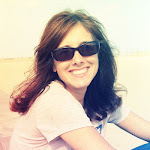 Hi and welcome to my stop on the Gossamer Blue/Elle's Studio blog hop. 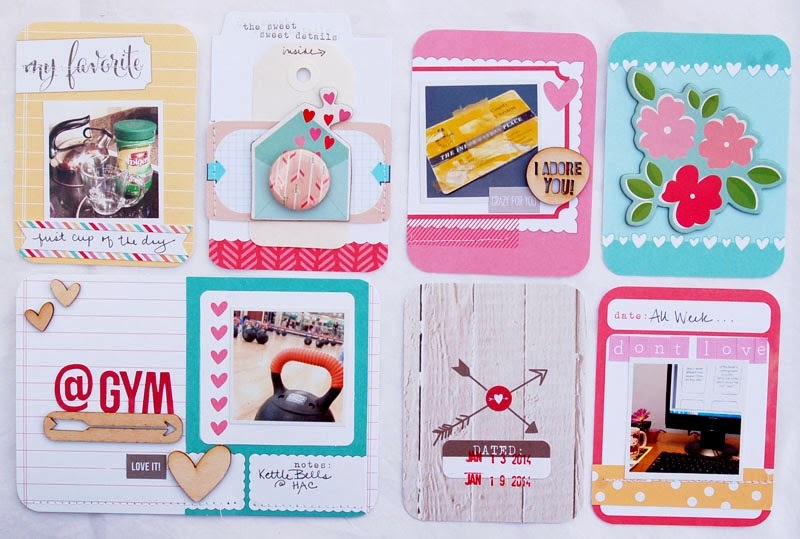 This month's GB kits were packed with beautiful Elle's Studio goodies. 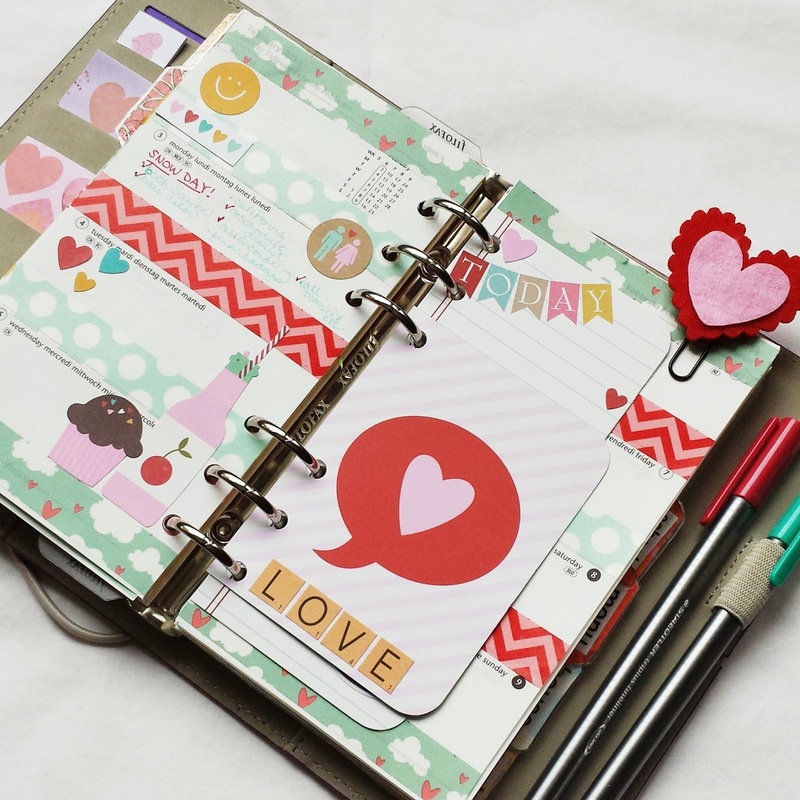 I used a lot of the Love You More line for my Life's Pages spread this month. As you can see, although it is a love/Valentine's line, it worked perfectly for my week in January. I love the sweet styles on the cards. 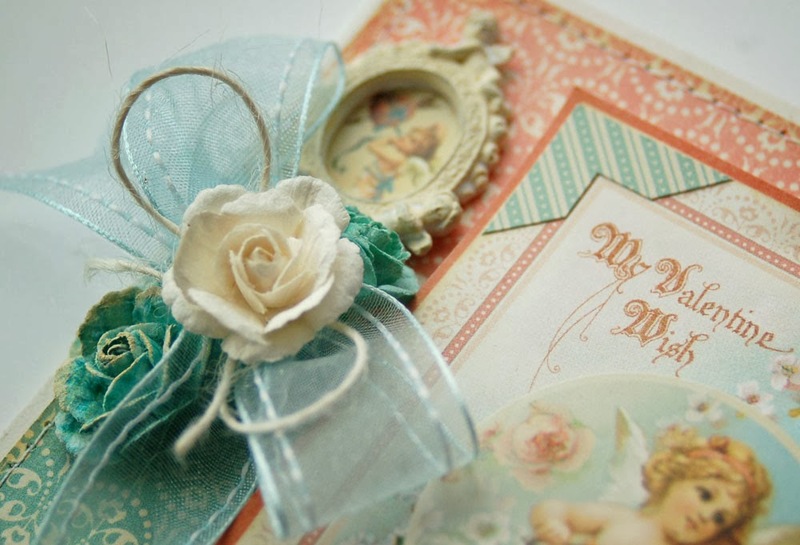 For the card on the top right, I cut one of the smaller labels and stitched the sides. 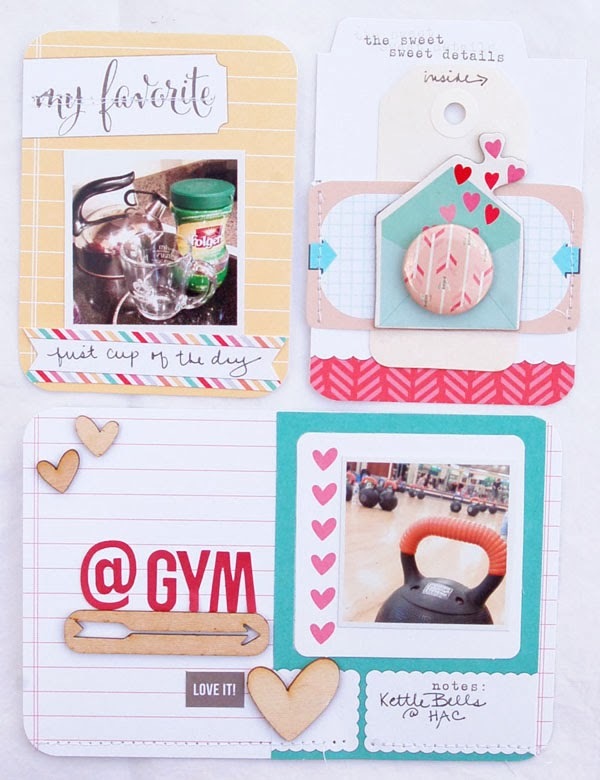 I topped it with a chipboard envelope and a piece of flair then slid my journaling tag in behind it. 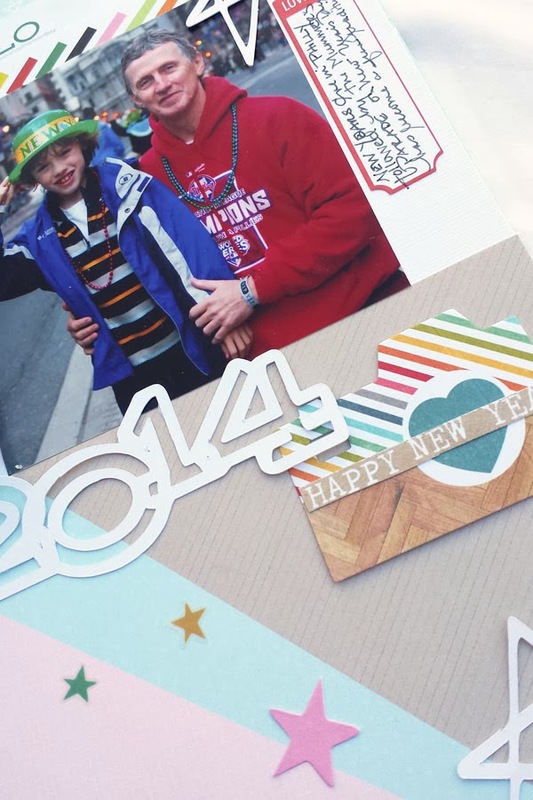 Lori, the owner of Gossamer Blue, really has an amazing way of coordinating products. 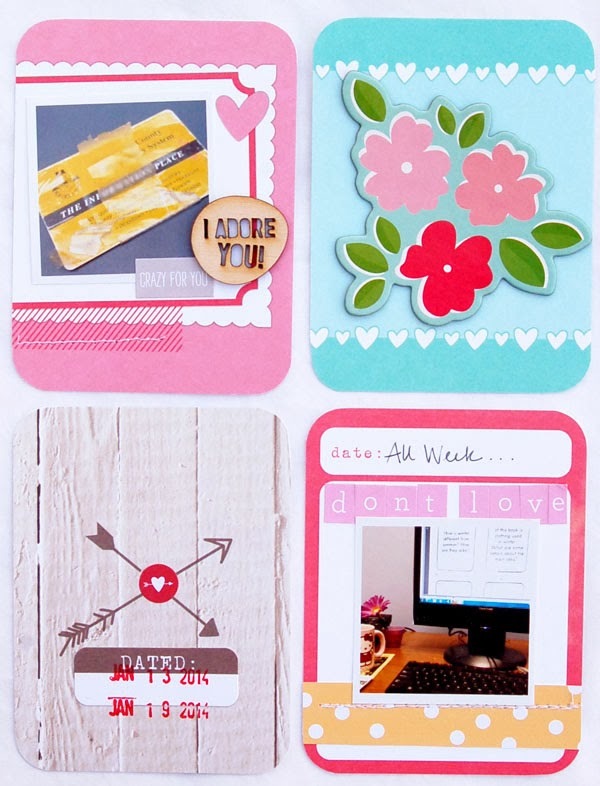 I love the Pebbles chipboard pieces that she included this month. They worked perfectly with the Elle's Studio goodies. Below is the list of participants. There will definitely be lots of inspiration along the way. Don't forget to stop by the Elle's Studio blog http://ellesstudio.blogspot.com/ and the Gossamer Blue Blog http://www.gossamerblue.com/blog/ Each company is giving away some great prizes. Leave a comment there telling us what inspired you along the hop to be entered!